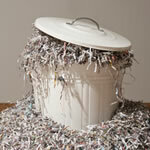 At its most basic, the entire purpose of paper shredding is privacy protection and information security. While the actual shredding process itself can provide this protection and peace of mind, it’s important homes and businesses don’t lose sight of document security before shredding as well. If sensitive information and documents can still be accessed and abused before it’s shredded, what’s the point of shredding in the first place? With this in mind, many may now wonder, “How can I be sure my information and documents are safe throughout their lifetime?” However, with the help of secure shredding bins to store documents, there is now a solution for ensuring papers are not only securely shredded, but stored and handled as well. With countless cases of identity theft and fraud emerging each day, there’s no better time to ensure sensitive documents have both reliable and secure storage prior to disposal. After all, if papers with proprietary or personally identifiable information are stolen as they await shredding, there isn’t any privacy left to protect. Out of recognition for this need, shredding companies and providers have further stepped-up the document security they provide with their services by utilizing secure shredding bins. Essentially serving the same purpose as outgoing mailboxes—shredding bins have a simple slot for collecting documents and are equipped with secure locks to prevent unauthorized access to documents before they’re shredded. Benefiting both customers and shredding providers alike, secure shredding bins help to establish a secure chain of custody for documents throughout the shredding process—minimizing the number of individuals potentially coming into contact with documents during destruction and ensuring secure transportation and storage. So How Do I Take Advantage of Shredding Bins? Considering the importance of both paper and electronic document security due to the constant threat for nefarious individuals to steal sensitive information, many will be anxious to ensure the security of their own documents throughout their lifetime and may even be considering an investment in their own secure storage bins. Despite these urges, however, with the help of shredding services, there’s an easier and cheaper way to ensure secure storage. Many shredding companies have made secure shredding bins a standard in their processes, and as such, now provide their customers locking shredding containers free of charge as an included part of their service. With mobile shredding services, shredding companies use trucks with mounted industrial shredders, allowing providers to come directly to customer locations to shred their documents. Between service trips, providers supply clients with their locking shredding bins to store documents until the container is filled. Once ready for shredding, providers send a mobile shredding truck to home or business locations to perform shredding on site. Collecting documents stored in shredding bins like a garbage truck, mechanical arms lift the container and dump papers into the onboard shredder to be conveniently destroyed as customers watch. When in need of shredding for a large number of documents, off site shredding and pickup services are often preferred to cut costs. With off site shredding, a truck comes to your location, where papers are then collected in locked shredding bins for transport. Afterward, they’re taken to the provider’s secure shredding facility to be safely destroyed. For proof of a secure chain of custody throughout your documents’ shredding process, companies provide certificates of destruction. Outlining every step of the way, it details the placement in secure shredding bins, the transportation of documents, who comes in contact with them, and finally when and where documents were shredded. Besides shredding documents to be sure your sensitive personal and proprietary information is protected, it’s important confidential information is also safely stored in secure shredding bin or container after it’s thrown away and awaiting shredding. At Shred Nations, we partner with a nationwide network of the top providers in mobile, off site, and drop off shredding services, helping to provide the secure paper shredding and storage services you need to ensure your privacy is protected. To learn more about the security benefits from using secure shredding bins or get a free estimate on any of our available services, just give us a call today at (800) 747-3365, or simply fill out the form at the right of your screen for free shredding quotes from the top providers in your area. 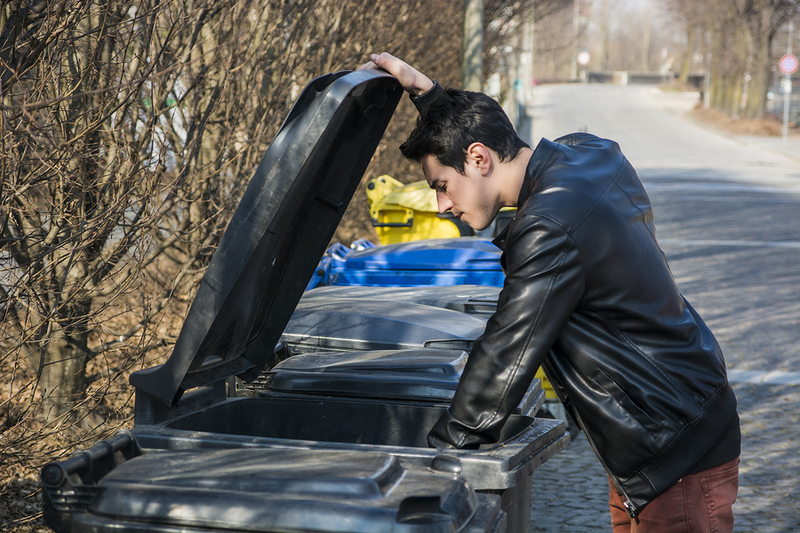 From identity thieves and fraudsters to nefarious dumpster divers, there are countless threats to sensitive information and personal privacy to protect against. Beside new methods for attackers, however, traditional vulnerabilities to hard-copy documents and papers also must be accounted for. Get insight and tips for avoiding the same fate of others and protecting your information throughout its lifespan with the help of this in-depth white paper. Of course, there is always the option for shredding personal or business documents by oneself, but how does this account for the security of documents before or after their shredded? Use this in-depth white paper to learn more about the secure shredding options available for residential projects, and how inclusions like secure shredding consoles and certificates of destruction help to ensure privacy is protected from the moment documents are created to the moment their destroyed. The use of secure shredding bins and consoles may seem like a non-negotiable option if you want to ensure your sensitive documents and information is protected prior to the secure shredding process itself, homes and businesses do have the option to choose shredding bins which best suit their needs. Here, we outline the different available shredding consoles available, detailing the specifics of their dimensions as well as estimates for paper capacity.